Funko Pop! Marvel Captain Marvel supporting cast! 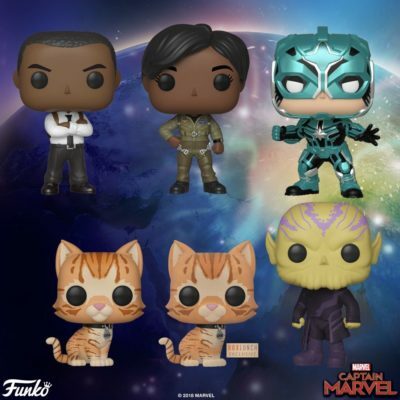 Nick Fury, Maria “Photon” Rambeau, Starforce Commander Yon-Rogg, Goose The Cat, Goose The Cat Flocked Exclusive and Talos the Skrull!